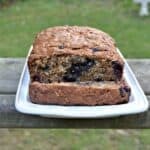 Have you ever baked with 9 grain flour? No? Neither have I but I was seriously intrigued but the blend of grains in King Arthur Flour’s 9 grain flour. The flour is a combination of wheat, high-fiber Sustagrain® barley, rye, oats, amaranth, quinoa, millet, sorghum, and teff, all milled to a baking-friendly, fine-flour consistency. 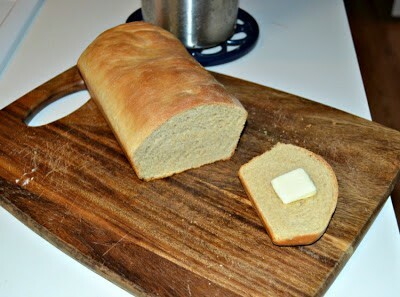 Since I wasn’t quite sure how this flour would taste, I decided to make a nice loaf of 9 grain bread to try it out. My initial thought is that the bread would taste similar to wheat bread but that was not the case at all. In fact, I thought the bread had a taste and texture more closely resembling potato bread. The color of the loaf was light brown and the bread was crunchy on the outside, delicate and soft on the inside. While I will eat whole wheat bread and multi-grain breads, they aren’t my favorite. However, I can totally see myself eating a loaf of the 9 grain bread each week! It was great toasted with butter or jam and it was hearty enough to hold a sandwich. 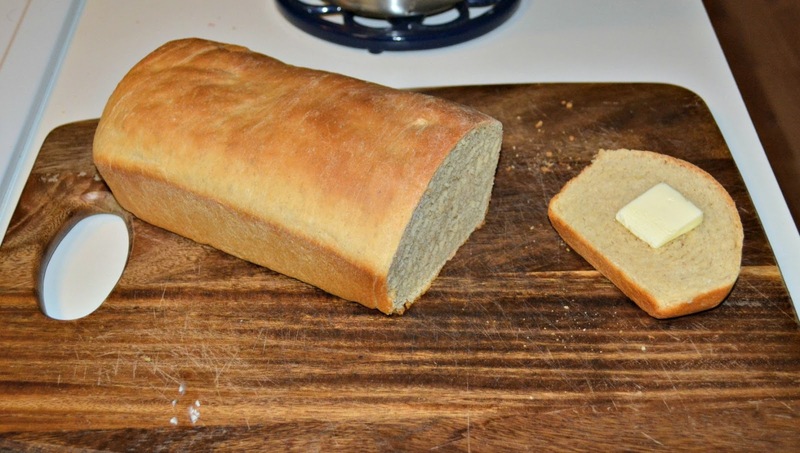 I can already tell this bread is going to be a staple at my house and I’ve got King Arthur Flour’s 9 grain flour on my permanent grocery list! 1. In a small bowl combine the warm milk, yeast, and chopped butter. 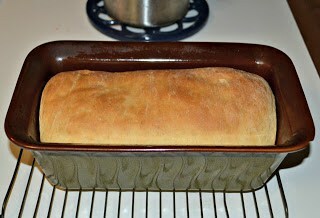 Allow to sit for 5 minutes or until the yeast begins to foam and the butter is melting. 2. In a large bowl combine the 9 grain flour and salt. Add the warm milk mixture to the flour, along with the honey, and mix until just combined. 3. Turn the dough onto a lightly floured surface and knead for 5-7 minutes or until the dough and smooth and elastic. 4. Lightly oil a large bowl, place the dough inside, and cover with a kitchen towel. 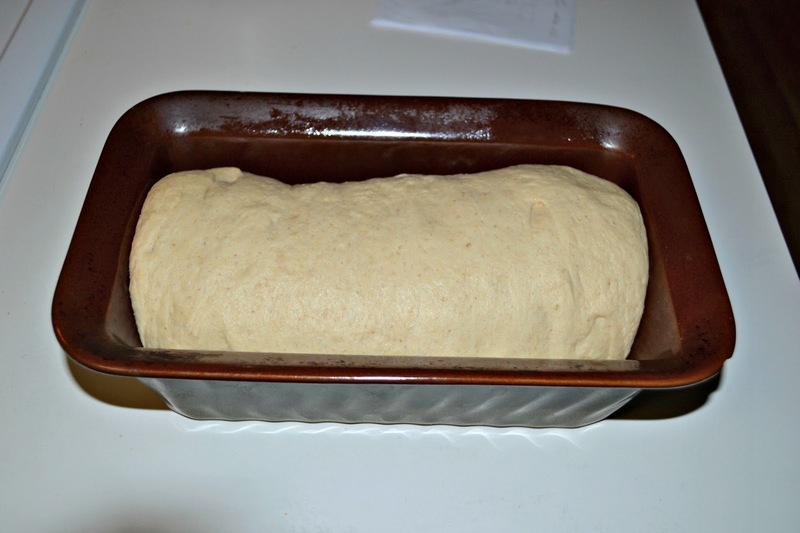 Allow to rise in a warm place for 1 hour or until the dough has doubled in size. 5. Once the dough has doubled turn it out onto a table. Shape into a large rectangle. 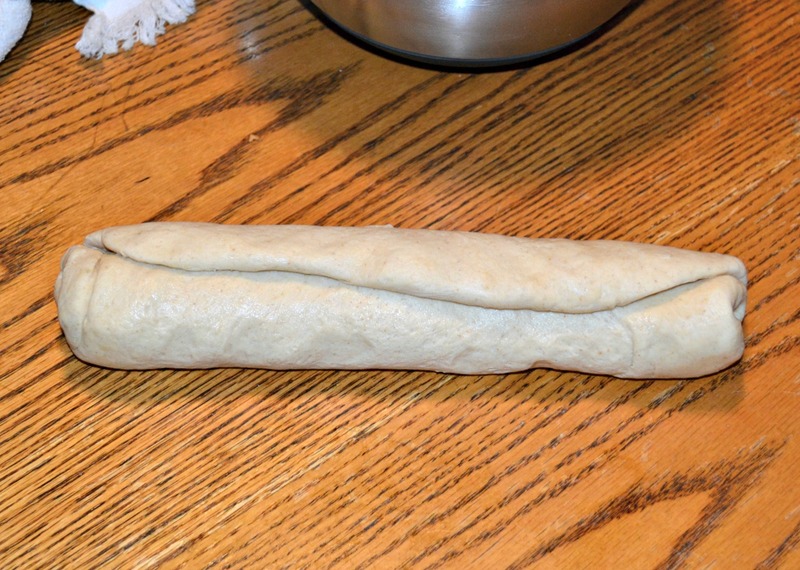 Starting at one end, roll the dough up. Pinch the seam closed and place seam side down in a greased loaf pan. 6. Cover the loaf pan with plastic wrap and then a kitchen towel. Allow the bread to rise for 1 hour. 7. Preheat the oven to 350 degrees. 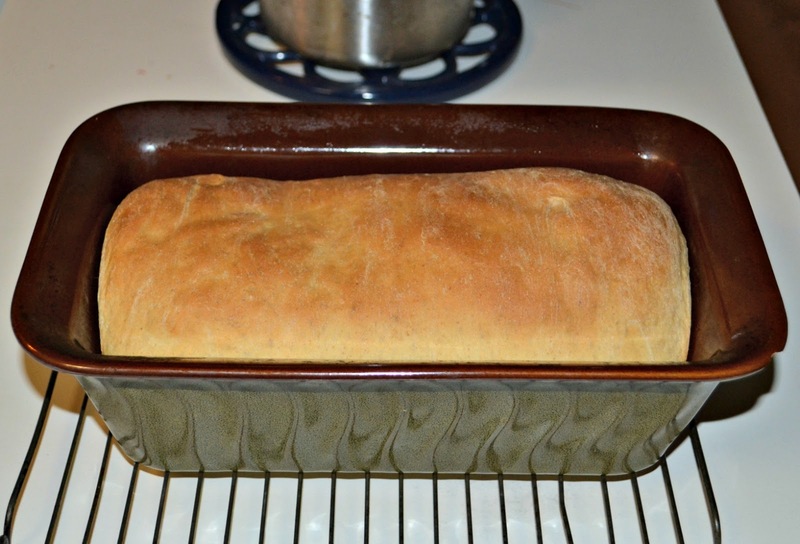 Once it is heated place the bread in the oven and bake for 35-40 minutes or until the loaf is golden brown. 8. 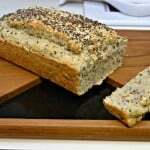 Immediately remove the loaf from the pan and cool on a wire rack. 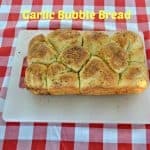 Garlic Bubble Bread: What’s Baking? 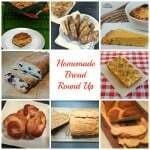 « 25 + Fruit and Vegetable Canning Recipes! I want to live in your house for like a week because I imagine the smells are wonderful and the food is awesome!